This 2018 editorial supplement focuses on assessing and addressing the needs of ocular surface disease (OSD) patients, including discussion around the OSD patient workup and finding the right lens. This 2017 editorial supplement covers building a scleral lens practice, using multifocal scleral lenses, overcoming obstacles, care & complications of scleral lenses, and the future of these specialty contact lenses. 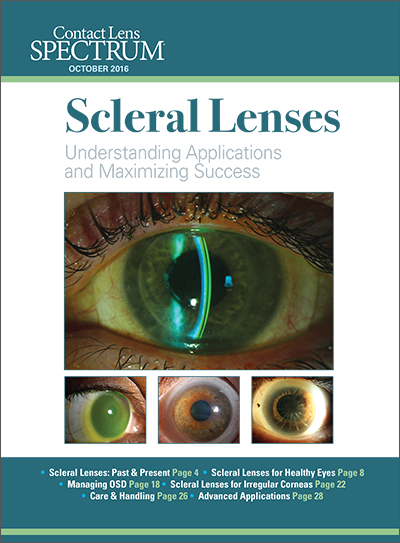 This special editorial supplement serves as an introduction to scleral lens design and fitting methods, designed to broaden practitioner knowledge of this important and effective modality. Although scleral lenses were first introduced in the late 1800s, the individuals above were some of the first to recognize the potential benefits of GP scleral lenses. The Scleral Lens Education Society is delighted to see well-deserved recognition of these individuals by GSLS. 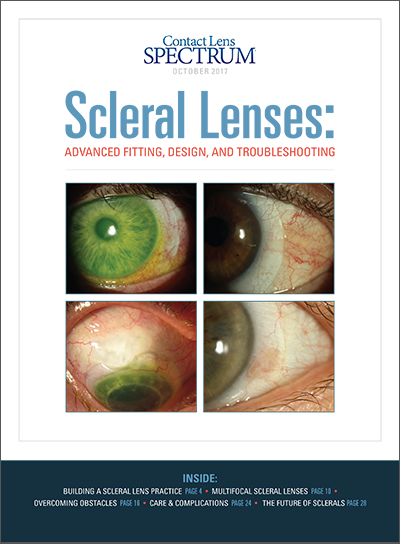 We recognized that the work of these visionaries forms the very foundation of current scleral lens practice, and decided to embark upon a project that would allow individuals who have been instrumental in the development of modern scleral lenses to share their thoughts on scleral lenses with those of us who have begun to fit scleral lenses more recently. This interview series is the result of our desire to document and share their collective wisdom. This PDF from the GP Lens Institute provides valuable, practical information on scleral lens fitting and problem-solving. This guide offers an overview of hand washing, an overview of the care specific to scleral contact lenses, cleaning and replacement of lens cases, no topping off solutions, and more. 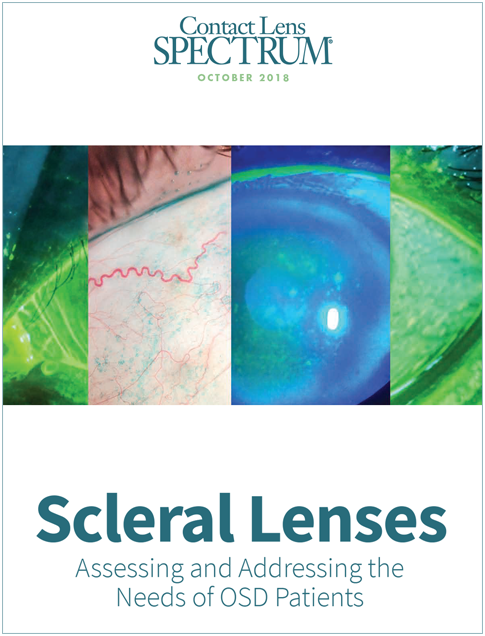 This guide is based on an extended literature search on the subject of scleral lens fitting as well as clinical input from experienced scleral lens fitters from around the world. It provides an overview of the latest knowledge and understanding of this vision correction method. The Scleral Lens Fit Scales demonstrate how to correctly estimate the clearance (amount of tears underneath portions of a lens, measured in microns) by comparing the tear layer thickness to the center thickness of the lens. Optic sections demonstrate the tear thickness underneath the lens both centrally and at the limbal area. Also shown are various edge clearances.